Like many aspects of life in general, there are nuances of riding a bike that are passed down by word of mouth or that some times will be demonstrated. In many cases these are simple precautions, but if you are not informed and prepared, you risk of not being at ease pedalling. All cycling shorts are designed with a padded to be worn next to the skin. You may feel naked the first time that you do this but you will get used to it very quickly. There are special creams that make up a great way to cut down on the natural friction that occurs when pedalling at 90 rpm for a couple of hours. This can be applied directly onto the skin where the point of contact is. It is then important to find the right position on the saddle: as you will be sitting more forward and a wide saddle may cause chaffing between the legs. All saddles should be level, not pointing up or down. If you feel that you need your saddle pointing down towards the front hub, chances are that it is too high in the first place and vice verse. It does take time to get your rear end used to sitting on a saddle for hours on end, but this too is all part of the training. On every training spin bring a pump, tyre levers and 2 spare tubes. 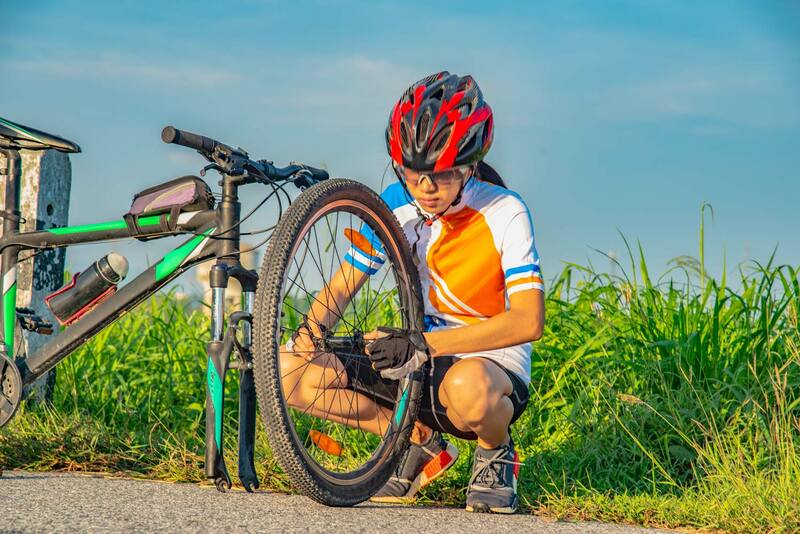 If you get a puncture, take off the wheel (if it’s a rear drop it down into the outside sprocket first, as this will help you know where to hang the chain when putting the wheel back on). Use your tyre levers to remove one side of the tyre and then pull out the tube. Pump the tube to see if you can find where the air is coming out. This will give you a good idea of where to check the tyre for the item which caused the puncture in the first place. Locate the thorn, piece of glass, thumb tack, or whatever and remove. Then check the rest of the tyre. If you cannot find anything whatsoever in the tyre and the tube has two holes very close together, this may be a “pinch flat”. These are caused by riding an under inflated tyre over a pothole or stone. Next slightly inflate your new tube and fit into the tyre. Re-seat the outer bead of the tyre and finish near the valve. The reason for this is so that if a part of the tube remains under the tyre bead by pushing the valve back up into the tyre you can re-seat this properly. Now pump the tyre as hard as possible and refit the wheel. The wind can be a cyclists’ greatest enemy. But with a little practice you can understand how to manage this weather situation. If you are riding in a group stay close to the rider in front. If the wind is coming from the left place your front wheel slightly to his right and vice versa. When riding on your own be conscious of any protection or shelter that a ditch or wall can offer. Use your gears and try to keep a good pace going. Riding against a strong headwind is very similar to climbing, that’s why so many Dutch riders have excelled in the mountains of the Tour de France. Always try to begin your training spins with a headwind so that you can enjoy the tailwind on the way back when you will be more tired. For spins under 2 hours you do not need to eat anything. Bring a quick assimilation gel in case you are having a bad day. For longer spins bring an an energy bar, dried fruit or whatever you like to eat and nibble away from the 1,5 hour point onwards. Do not eat only sweet things because they quickly remove the sense of hunger and this could lead you not to nourish and enter into crisis. Drinking depends on the weather, but is a good idea to begin sipping within the first 5 mins. As a general indication, you may use 1 x 500 ml bottle of isotonic mix every 2 hours whilst training. It is always easy to spot an inexperienced cyclist. They are trying to churn a huge gear with their shoulders. 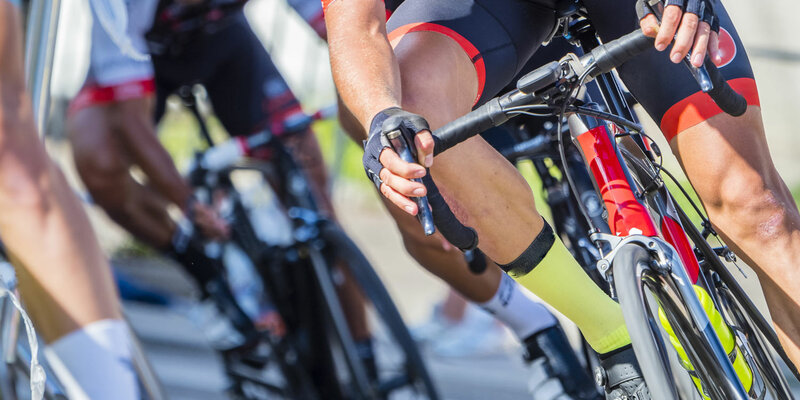 You will see their shoulders move at least 12-18 inches with each pedal stroke. Bikes nowadays can have anything up to 33 gears. Even if you only have 10, use them to keep a nice steady economical cadence from the energy point of view. The average should be about 90 rpm on the flat and 70 rpm whilst climbing. 30 mins once per week will keep your machine running much better. 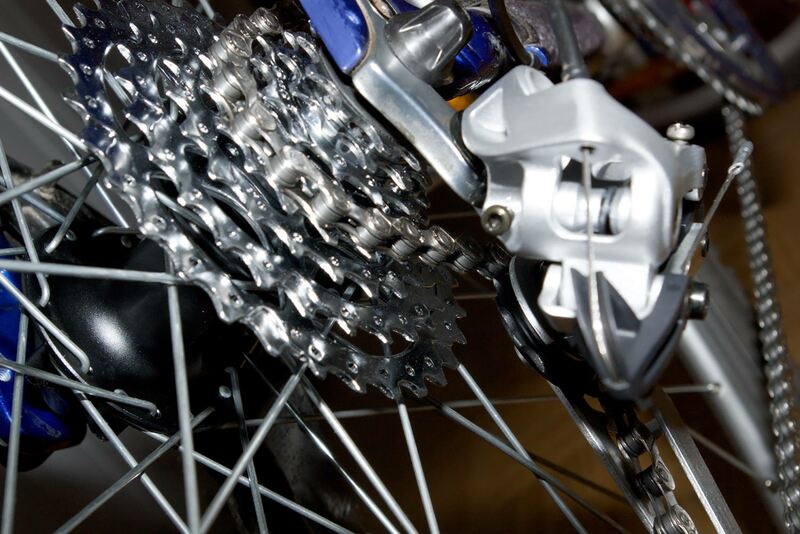 Brakes, gears, handling will all run a lot smoother when a bike is well taken care of. Chains and cassettes will not wear out as quickly and you will spot problems such as glass or thorns in tyres before they become an issue. You will also feel better as a nice clean machine whirring along underneath you will always lift your spirits. It takes time to go for a spin and it takes time to improve. Then the better you get the further you can go and it takes even more time again. With family, work and social commitments there will always be something else to do, you just have to find a way around them. If you know the names of three or more famous TV series characters or any other program, then you have time to train. If you spend your lunchtime sitting in a cosy cafe, you have time to train. If you sit in traffic for 1 or more hours per day, you have time to train. All you need do is to become a little more disciplined with your time and you will find the time to train. If your arms are locked all the vibration from the bars travels up along to your neck and shoulders which causes neck and shoulder pain. You are also less flexible if someone bumps off of you in a group. It does take a bit of practice but will be well worth the effort. Many people have a mental block about climbing. The main thing to know is that climbing does involve a certain amount of pain for everyone. Robert Millar said that ‘the best climbers are not the ones who can climb the best, but the ones who can suffer the most’. So be prepared for some pain, but also be conscious that everyone else is suffering too. This makes it a lot more tolerable. 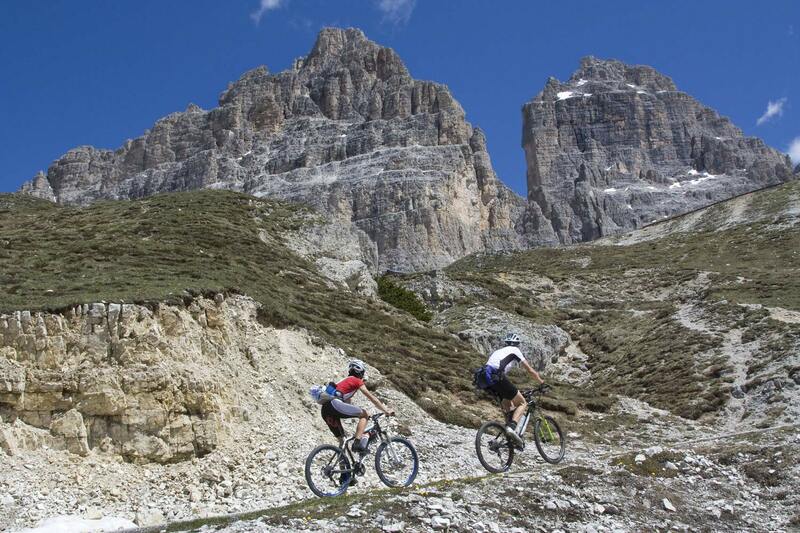 On short, sharp climbs, try to power over them but for longer climbs it is important to pace yourself a little. Find a gear that you are comfortable in and get into a rhythm. When rising out of the saddle change up a gear to maintain your speed and change back down when you sit down again. The only way to improve your climbing is to climb, so don’t be avoiding any hills when out training. If you have ever been sea sick or car sick, you will have been told to look up at the horizon to make your body feel still. This is because 20% of your balance is related to your optic nerves. This is important on the bike too. When descending you are much more stable when you look on up ahead than 5 feet in front of you. The speed of the road passing by can actually make you feel dizzy. You need to look where you want to go, not where you don’t. In a bunch too, it is important to look up. 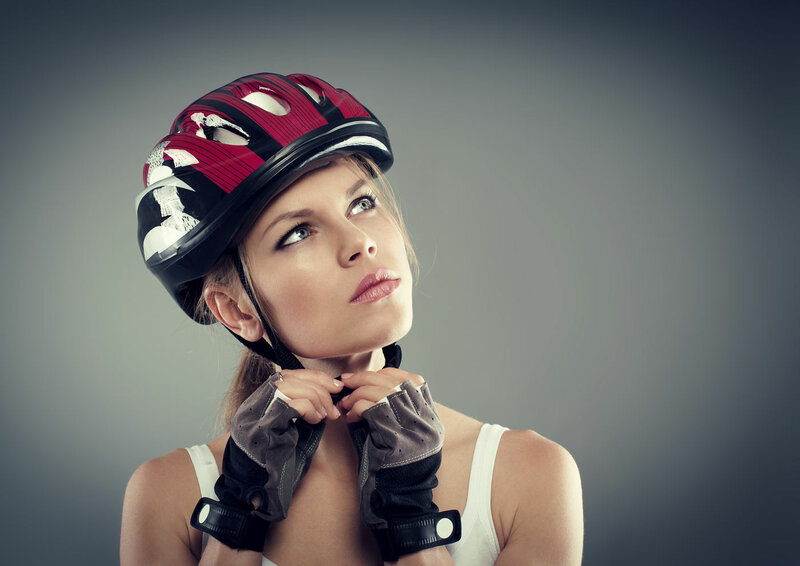 Your peripheral vision will take care of what’s around you and by looking up ahead you can dodge the various obstacles and also be more stable on the bike itself. A few other simple things are to always wear your helmet 1 inch above your eyebrows, not on the back of your head, call the potholes and obstacles when riding in a group and don’t be afraid to ask other cyclists if your not sure about something. It makes them feel important and you get the answer you are looking for.